It seems like a good way to add life to classic games. Live the life of luxury. 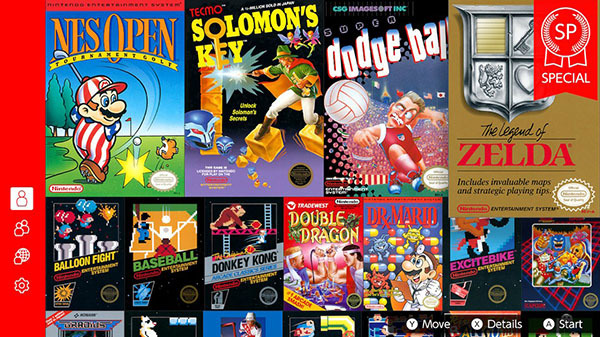 A special version of The Legend of Zelda called The Legend of Zelda: Living the Life of Luxury was added to the Nintendo Entertainment System – Nintendo Switch Online app alongside the previously announced NES Open Tournament Golf, Solomon’s Key, and Super Dodge Ball today. In this souped-up version of The Legend of Zelda, you’ll start with a ton of rupees and items! You’ll begin with all equipment, including your White Sword, the Magical Shield, the Blue Ring, and even the Power Bracelet. But if Ganon’s still giving you a hard time, the power of money will overcome! Just buy yourself some more items and give it another try! Beating the game once grants you access to a more difficult version of the game called Second Quest. Geez Nintendo. Thank you so much for making it easier to beat a game over 30 years old. I know so many people are revisiting this game at this moment. My $20 sure worth all this effort. I want to have all the pieces of the triforce and right away the ending of the game in the first place where you pick up the first sword or nothing!